How Much Does Blind Repair Cost? Blinds provide you and your family with essential privacy. Aside from being a convenient and affordable way to cover your home's windows, blinds are also excellent ways to make your home look more attractive. When they become damaged, blinds repair work can restore them to their original form. The great news is that the cost to repair blinds, in nearly every case, is not much. Cracked and damaged blinds can be so unsightly and unattractive that on their own they can ruin the look of your home, both from the inside and outside as well. How Much Will It Cost To Repair Blinds? The actual cost of a blinds repair job is going to vary slightly depending on the type of blinds you have, where you live, and difficulty reaching your windows. A low-cost blinds repair job is only around $50, but an expensive repair job is $300. The average cost to repair blinds, in most cases, is around $100. When you consider the relatively low cost of parts and labor, getting your blinds repaired is essential. Not only are blinds repair costs rather affordable, the length of time required to complete a repair is also minimal. Due to the relatively low cost to repair blinds, it can occasionally be the case that a blinds repair is less cost-effective than a replacement. A trained blinds repair and installation professional will be able to help you determine your options and what the costs are for each. If you have wooden blinds in your home, the hardware and mounting mechanisms could last decades but individual slats will need more regular maintenance. Many homeowners commonly decide to have a window treatment professional visit their home at the same time as when new flooring or paint work is being done. 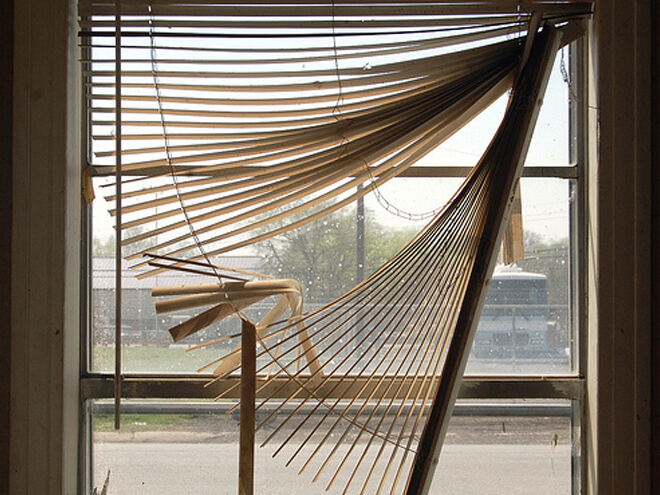 Not only can old, damaged blinds detract from the appearance of your room, they could clash from a design standpoint. With the low cost to repair or replace blinds, the work can all be done at the same time. If you're unsure whether to repair or replace your blinds, or what the specific cost to repair blinds in your home will end up being, it makes sense to get a professional estimate. By simply entering your home zip code into the form on this page, a trained, local blinds repair and installation professional will contact you to provide a no-obligation, 100% FREE estimate.